The British Academy of Film and Television Arts (BAFTA) has today opened applications to the BAFTA Scholarship Programme, which enables talented British citizens in need of financial support to take an industry-recognised course in film, games or television in the UK. The BAFTA UK scholarship programme is open to British citizens in need of financial assistance to take eligible undergraduate and postgraduate courses in the UK. Each BAFTA Scholar receives up to £12,000 towards their annual course fees, as well as mentoring support from a BAFTA member, winner or nominee and free access to BAFTA events around the UK. The scholarships are part of BAFTA’s charitable activity to support talented people at all stages of their career, regardless of their background or circumstances. Produced by The Canadian Career Development Foundation, this workbook has pages of questionnaires, activities and templates that you may be able to use or adapt to use with your own clients. 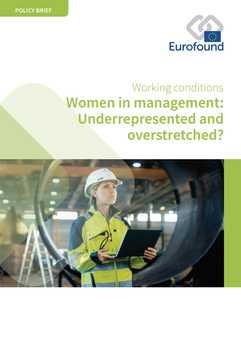 Women in Management: Underrepresented & Overstretched? Despite years of gender equality legislation, men outnumber women in management positions by two to one. While structural barriers continue to impede women’s career advancement, women themselves may be deterred from becoming managers if they perceive that it would have a negative impact on their working and personal lives. What is the experience of women in management roles and how can their underrepresentation in management be addressed? 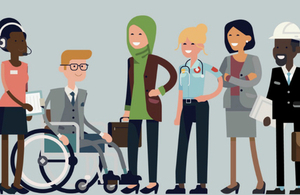 These are the questions this policy brief published by Eurofound seeks to answer by looking at the job quality of managers, both female and male, and the impact a management job has on personal life.